Until you need to hear the conversation over dinner. Does anyone have a hearing aid to spare? See, everyone looks good in purple and teal frames! We all have either seen folks in this situation or been there ourselves. It is a fairly common practice to trade glasses back and forth and is made more convenient by the proliferation of generic reading glasses offered by so many stores. 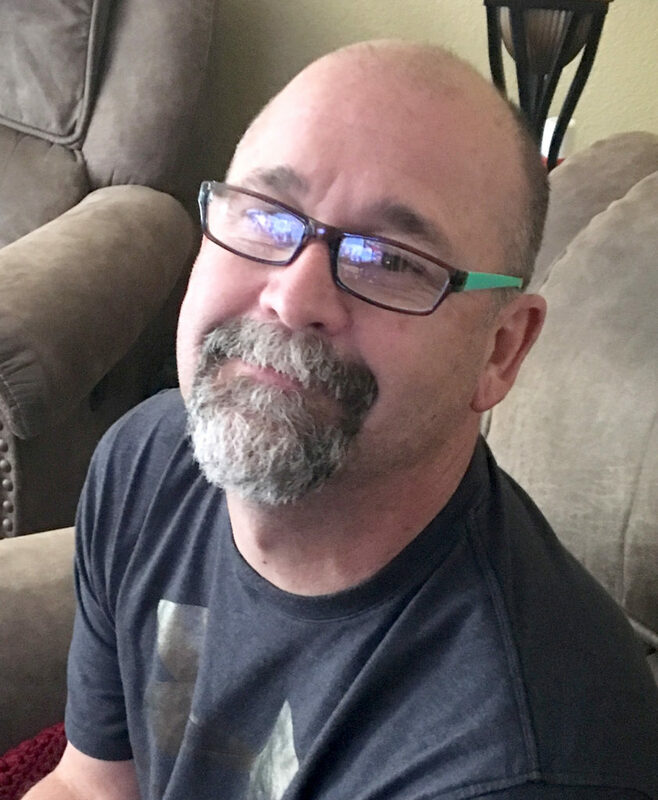 My own parents trade a pair of “readers” back and forth and I must say my dad looks wonderful in teal and purple frames (good choice, Mom!). The hardship comes when the only glasses available have prescription lenses. This is the exact reason hearing aids cannot be traded between people without a visit to a hearing professional. I have had many patients come into our clinic with hand-me-down hearing aids from their friends or family members and wonder if they are able to use them as-is. The answer contains both a “possibly, yes” as well as a resounding “no.” Sometimes folks don’t immediately realize that hearing aids are a prescriptive device – you must be tested and have your aids specially fit to your particular difficulties. Just like Dad can’t borrow my prescription glasses, I can’t borrow his hearing aids. Everyone has different programing needs and if you tried to wear your neighbors hearing aids, they may either be useless to you or be far too overpowering. Many behind-the-ear (BTE) hearing aid styles are able to be adjusted to fit most wearers, but there is more trouble when it comes to custom in-the-ear (ITE) models. No matter what they look like, the piece that goes into the ear and the programming that goes into the device needs to be customized to each wearer to ensure they get the hearing assistance they need without under- or overshooting the goal volume at each frequency. Your audiologist will be able to evaluate the devices and depending on the brand and age of the device, they may be able to make the necessary adjustments to fit your needs. Fun Hearing Fact: We have all seen one version or another of a device called an “ear trumpet;” a hollow, horn-shaped device that someone holds to their ear to better hear what is going on around them. These trumpets were commonly used in the 1800’s, but for those of high society that deemed themselves better than the masses, there was another option: ear thrones. This is exactly what it sounds like: a decorative chair that often sat upon a dais at just the right level for the ear trumpets hidden within the arms of the throne to pick up the voices of those who wished to speak to the seated person. The ear piece of the trumpets opened very near the head of the seated individual so they were able to hear the speakers more clearly.